Indian connect: Indira Varma, will be seen alongside Christian Bale in Ridley Scotta��s Exodus: Gods and Kings, playing the High Priestess Miriam, sister of Moses (Bale). Varma born to an Indian father and a Swiss mother, made her film debut in Mira Naira��s film, Kama Sutra:A Tale of Love, in 1996, and has since done many leading roles. Croaking numbers: Enough has been said about the elaborate sets. In one scene, 400 frogs were brought on the set, with six frog handlers, a frog handler dog and a one-metre high frog fence. Iranian actress Golshifteh Farahani, who plays Nefertari, Ramessesa��s wife, had to pretend to be asleep, even as a large bag of live frogs would be emptied over her head. 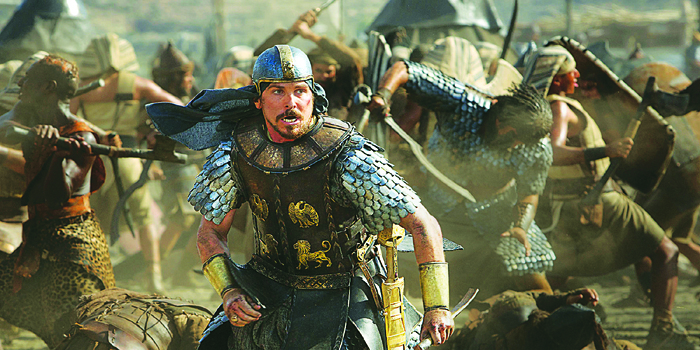 Bale attack: The first movie Christian Bale chose to watch when he got the part in the movie was Monty Pythona��s Life Of Brian. In a recent interview, Bale described his character in the film as a a�?freedom fightera�� and a a�?terrorista�� against the slaveholding Egyptian empire. a�? [He was] absolutely seen as a freedom fighter. A terrorist, in terms of the Egyptian empire. What would happen to Moses if he arrived today? Drones would turn out after him, right?a�? he had asked. A story about a small time crook Vishy (Devgn), who finds a deadly secret that lands him in Bangkok to meet a dangerous Mafia don. Did you know? The actor, who has never worn a hat on screen in his 23 years in the industry, wore one in this film because the director asked him to. This is a one-of-a-kind concert film that features Carnatic singer T M Krishna performing in forests, by lakes and on hills. Instead of the usual performances, this concert film will have 10 songs by Krishna in different languages like Tamil, Telugu and Kannada. Did you know? 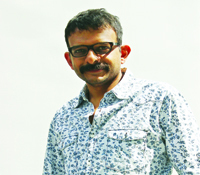 The film is completely shot in the Nilgiris, without any accompaniments. This movie is based on the biggest man made industrial disaster a��the Bhopal Gas tragedy.